This paper studies a numerical method for second-order oscillatory differential equations in which high-frequency oscillations are generated by a linear time- and/or solution-dependent part. For constant linear part, it is known that the method allows second-order error bounds independent of the product of the step-size with the frequencies and is therefore a long-time-step method. Most real-world problems are not of that kind and it is important to study more general equations. 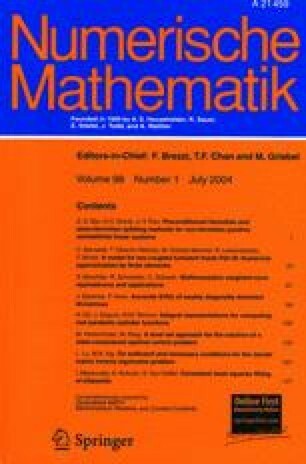 The analysis in this paper shows that one obtains second-order error bounds even in the case of a time- and/or solution-dependent linear part if the matrix is evaluated at averaged positions. Acknowledgement I am grateful to Marlis Hochbruck and Christian Lubich for helpful discussions on the subject.